Knight’s award-winning HCI™ System provides outstanding thermal performance by way of true CI (continuous insulation). 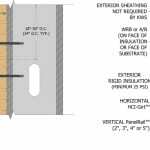 As a compliment to the original CI® System, the HCI System enables vertical cladding (and secondary rails) to be installed directly to the HCI-Girt™. 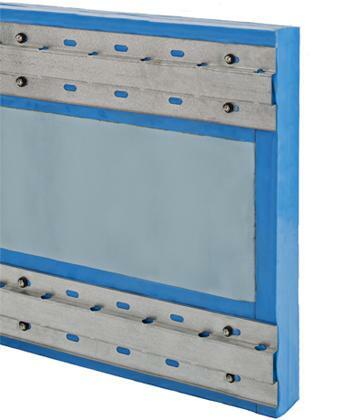 This offers easy installation, broad design flexibility, and cost savings, all while still easily meeting North American energy code requirements. 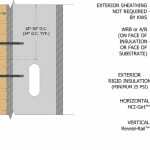 The HCI System uses unique ¾” deep horizontal girts – called HCI-Girts – designed to properly disburse the façade loads over exterior rigid board insulation – with only unique thermally isolated fasteners penetrating the thermal barrier thus minimizing thermal bridging. 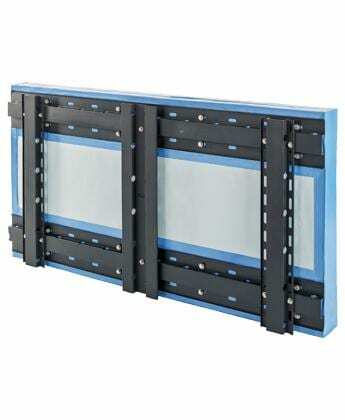 For basic, cost-effective vertical claddings, only a single layer of HCI-Girts may be needed. 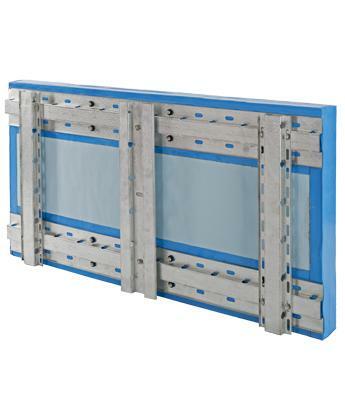 For more complex cladding designs or types, choose from a wide variety of Knight Wall secondary rails for those panels requiring specific attachment points. HCI Systems components are produced in standard and custom lengths, in either 16- or 18-gauge Zn-Al-Mg coated steel (standard silver or black PVDF coated) and also available in stainless steel. 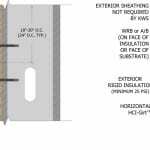 The HCI System attachment completes the rainscreen envelope design, whether choosing metal panels, aluminum composite material (ACM) panels, fiber cement, GFRC, or many more. And choose any brand of insulation that meets minimum compressive strength and code requirements, simplifying design specifications.